Do you often use your garage for more than just parking your car? If yes, you need an insulated and weathertight door to ensure you are comfortable. Garaga doors are manufactured to meet the harshest temperatures found in Andover, MA, which average 30.3° F in winter. 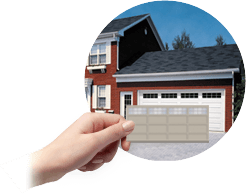 At A‑1 Overhead Door Systems, we can repair any brand of garage door and garage door opener. We have many years of experience and we are proud of our professional work. It is important to remember that the quality of a garage door depends on it being installed by experienced and professional technicians. In Andover, MA, A‑1 Overhead Door Systems has developed the expertise after working with Garaga for years. 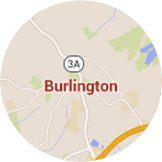 We service Andover MA but also all Essex County and surroundings. Most people only purchase a new garage door once or twice in their life. This is why we are here to help you make the best possible choice, based on your needs and budget. According to Remodeling Magazine, midrange projects to replace a garage door cost on average $1674. You should also know that your new garage door will provide you with a ROI of about 84%. 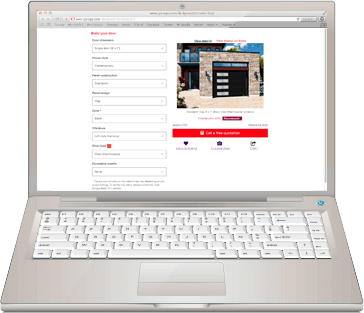 You can plan your dream garage door using our Design Centre. Choose from our different models of doors, add color and windows, and take a look at the results! At A‑1 Overhead Door Systems we help you find the best garage door design for your Andover’s home style. If you are looking for a charming country style we have the Eastman garage door will perfectly fit. If you prefer a more colonial door the Cambridge is for you. Many other models and styles are available from carriage garage doors to contemporary. We are the right people to advise you about your purchase of a new garage door while respecting your tastes and budget. 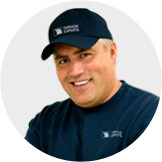 Whether you are building or renovating, we are here to provide you with expert advice. We will examine your needs and take the time to explain the different products found on the market. Throughout the stages of your purchase, we will recommend the best insulation for your door and help you choose between the colors and different designs offered. Want to add windows? Why not! We also have knowledge about garage door openers, including the accessories that will make your life easier. LiftMaster is the most popular brand of garage door openers in the US. GARAGA garage door specialists in Andover, MA strongly recommend them. LiftMaster garage door openers are not only quiet, durable, and reliable, but they are also equipped with the latest Internet technology to allow you to control your garage door using your smartphone, a computer or a tablet. To make your life easier, you can add different accessories that you might find very practical, such as an external keypad or monitoring device to verify if your garage door closed properly. How many times a day do you use your garage door? Add to that the number of times you use it to access the inside of your home. For the safety of you and your family and friends, it is important to regularly check that it is working properly. As garage door specialists in Andover, MA, A‑1 Overhead Door Systems offers you an annual 26‑point maintenance program for your residential garage door. We will complete a visual inspection of your door, adjust it as well as lubricate the important parts. If one of your garage door parts need to be changed due to premature wear, you’ll be notified before we make the necessary repairs. 10. Continue on Leominster Connector.